While construction contracts serve as a means of pricing construction, they also structure the allocation of risk to the various parties involved. The owner has the sole power to decide what type of contract should be used for a specific facility to be constructed and to set forth the terms in a contractual agreement. It is important to understand the risks of the contractors associated with different types of construction contracts. In a lump sum contract, the owner has essentially assigned all the risk to the contractor, who in turn can be expected to ask for a higher markup in order to take care of unforeseen contingencies. Beside the fixed lump sum price, other commitments are often made by the contractor in the form of submittals such as a specific schedule, the management reporting system or a quality control program. If the actual cost of the project is underestimated, the underestimated cost will reduce the contractor's profit by that amount. An overestimate has an opposite effect, but may reduce the chance of being a low bidder for the project. In a unit price contract, the risk of inaccurate estimation of uncertain quantities for some key tasks has been removed from the contractor. However, some contractors may submit an "unbalanced bid" when it discovers large discrepancies between its estimates and the owner's estimates of these quantities. Depending on the confidence of the contractor on its own estimates and its propensity on risk, a contractor can slightly raise the unit prices on the underestimated tasks while lowering the unit prices on other tasks. If the contractor is correct in its assessment, it can increase its profit substantially since the payment is made on the actual quantities of tasks; and if the reverse is true, it can lose on this basis. Furthermore, the owner may disqualify a contractor if the bid appears to be heavily unbalanced. To the extent that an underestimate or overestimate is caused by changes in the quantities of work, neither error will affect the contractor's profit beyond the markup in the unit prices. For certain types of construction involving new technology or extremely pressing needs, the owner is sometimes forced to assume all risks of cost overruns. The contractor will receive the actual direct job cost plus a fixed percentage and have little incentive to reduce job cost. Furthermore, if there are pressing needs to complete the project, overtime payments to workers are common and will further increase the job cost. Unless there are compelling reasons, such as the urgency in the construction of military installations, the owner should not use this type of contract. 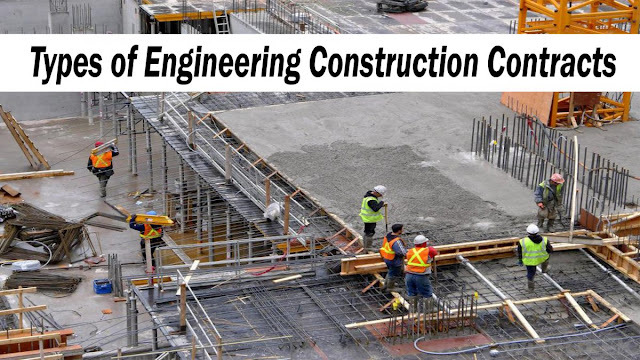 Under this type of contract, the contractor will receive the actual direct job cost plus a fixed fee, and will have some incentive to complete the job quickly since its fee is fixed regardless of the duration of the project. However, the owner still assumes the risks of direct job cost overrun while the contractor may risk the erosion of its profits if the project is dragged on beyond the expected time. For this type of contract, the contractor agrees to a penalty if the actual cost exceeds the estimated job cost, or a reward if the actual cost is below the estimated job cost. In return for taking the risk on its own estimate, the contractor is allowed a variable percentage of the direct job-cost for its fee. Furthermore, the project duration is usually specified and the contractor must abide by the deadline for completion. This type of contract allocates considerable risk for cost overruns to the owner, but also provides incentives to contractors to reduce costs as much as possible. This is another form of contract which specifies a penalty or rewards to a contractor, depending on whether the actual cost is greater than or less than the contractor's estimated direct job cost. Usually, the percentages of savings or overrun to be shared by the owner and the contractor are predetermined and the project duration is specified in the contract. Bonuses or penalties may be stipulated for different project completion dates. When the project scope is well defined, an owner may choose to ask the contractor to take all the risks, both in terms of actual project cost and project time. Any work change orders from the owner must be extremely minor if at all, since performance specifications are provided to the owner at the outset of construction. The owner and the contractor agree to a project cost guaranteed by the contractor as a maximum. There may be or may not be additional provisions to share any savings if any of the contract. This type of contract is particularly suitable for turnkey operation.